Cottage on Fox Hollow: Angry Chicken. . .
Have you checked out her site, yet? 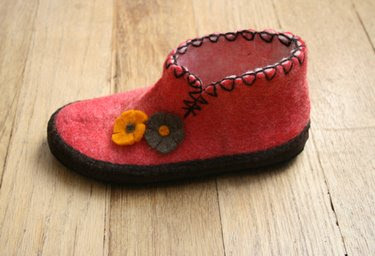 Look at these ridiculously cute shoes in her post! If only my kiddos were still little. . . 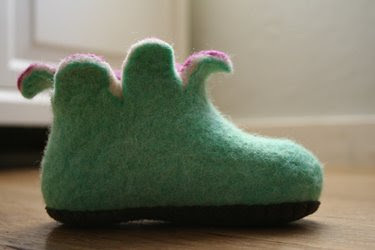 I wonder how hard it would be to felt some slippers for me and the kiddos? Oh, how I need some! And the options available?! The sky's the limit! Oh! I want some in my size! They would make great Christmas gits!